One of the most common types of personal injury situations that people will face at some point in their lives is a slip and fall. As the name suggests, a slip and fall is a situation where a person has literally slipped and fallen, either due to the negligence of a third party person or business or through their own fault, and has sustained injuries as a result. These are also commonly referred to as "premises liability" cases. There are a number of important things about slip and fall injuries that you'll definitely want to know about moving forward. In order to be considered a slip and fall cases, a person must have injured themselves (most commonly either via slipping or tripping) on a piece of property owned or maintained by another person. If you walk into a business and slip because a recently mopped floor was still wet, for example, you would have just experienced a slip and fall case. Other types of slip and fall cases include tripping or falling down the stairs at the private residence of another person, being injured in some way on a piece of commercial property and more. It's important to understand, however, that just because you slipped and fell does not necessarily mean that you have a case worthy of going to court, or even that you have any damages of any kind. 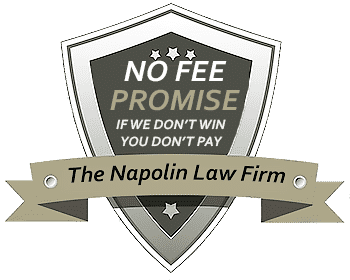 The situation that caused the accident must have come about as the result of negligence from the business or property owner in question. If you walk into a store and slip on a recently mopped floor that had no warning signs posted or employees present, for example, you would be a prime candidate for a slip and fall case and are likely entitled to a significant amount of financial compensation as a result. 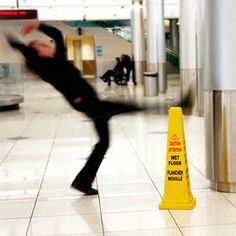 If the wet floor was properly marked with warning signs and if an employee actually told you about the floor and you went ahead anyway and slipped, however, this creates an entirely different situation. The actions of that third party need to have directly caused the dangerous environment that you fell victim to. 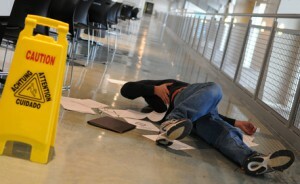 If water was spilled on the ground of a business, an employee needs to have caused the spill. If you tripped on torn carpeting, someone associated with that business or building needs to have caused the tear. The third party must also have known about the dangerous surface in question without taking any actions to correct the situation. If a business didn't know about their slippery surface, they can't really be held responsible for it. A "reasonable person" would have both identified and taken care of the problem before anyone was injured. To that last point, consider the example of a retail store during the winter. With snow on the ground and hundreds or even thousands of customers coming into a business all day long, it's reasonable to assume that the floors around the entrances and exits will be slippery at all times. A business would therefore legally have to post signs and other warnings alerting customers to this fact as they enter. If they don't, they may be held legally responsible for a slip and fall. If you've been the victim of a slip and fall accident, it's always important to consult with an experienced personal injury attorney as quickly as possible. Not only will they help review the details of your case to make sure that all claims are valid, but they will also protect your rights at all times and make sure that you get the fair, justified and well-deserved compensation that you are entitled to in a court of law.